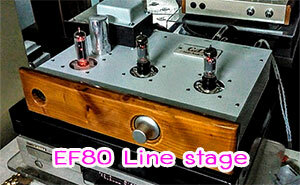 - Two custom, discrete, boutique microphone preamps, based on our new, low-noise dbp:re technology. 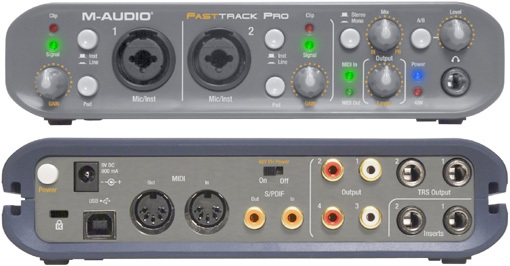 - Each input features a Neutrik combo XLR jack with mic / line inputs and a wide-range gain control. 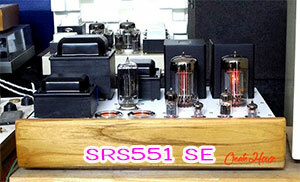 Inputs can accommodate keyboards, guitar pedals, as well as and other XLR or 1/4" audio sources. 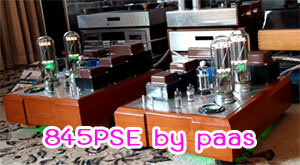 - 48V phantom power for professional condenser microphones. 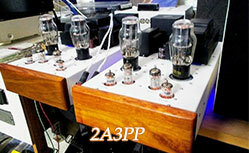 - 24-bit / 192kHz A/D and D/A converters. We use the same chips found in studio recording interfaces. 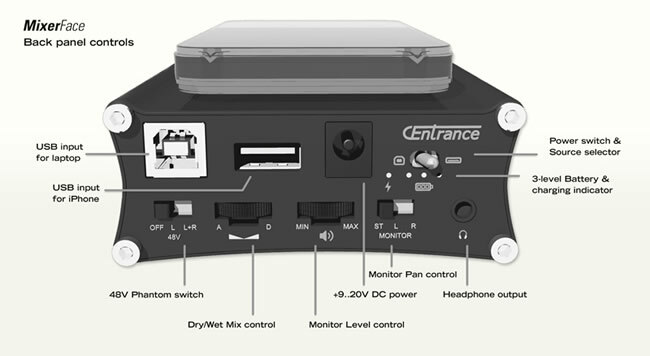 - An innovative monitor mix with pan and dry/wet controls. Especially useful for stereo instruments and voice-over applications. - Loud headphone output with digital volume control. - Fully portable operation. Straps to the phone and serves as a cradle, forming one device to hold. Goes wherever your phone goes. - Works with old 30-pin iPhones/iPads and new lightning connector-based iPhonesiPads. You can use the white charging cable that came with the iPhone. We will also offer shorter cable options. Android devices also supported. - Battery life: 7-8 hours of recording. Long stand-alone recording time. - Digital connectivity to smartphones, laptops and tablets. 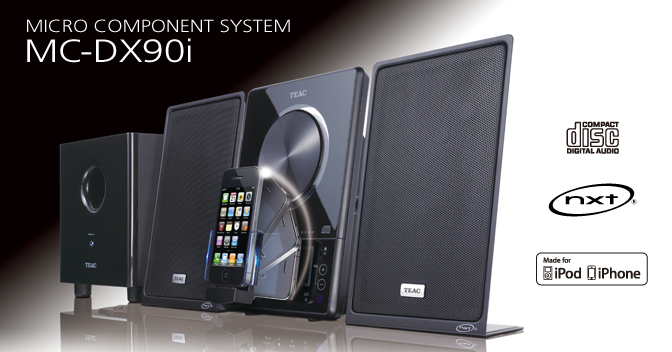 Audio travels in digital domain to the phone or tablet, for lowest noise and highest audio quality. - Compatibility: USB B jack for connectivity with laptops and Android devices, USB A jack for connectivity with iPhone, iPad. - THD and noise: Less than 0.01%. - Lowest jitter due to asynchronous USB audio design. ราคาขายปลีกก็ 600 เหรียญ แต่ช้าก่อน ถ้าคุณโทรมาจองเป็น 50 ท่านแรกรับไปเลยในราคา 279 เหรียญ!!! แต่ช้าก่อน สินค้าเรายังไม่ได้ผลิตนะ จองเพื่อรับสิทธิ์ไว้ก่อนได้ แต่จะขายจริง น่าจะมิถุนายน ถ้าเราสามารถทำได้อย่างที่เราโม้ไว้ทั้งหมดนะ ถ้าไม่งั้น เราจะยังไม่จำหน่าย แต่ให้สิทธิ์จองไว้!! !